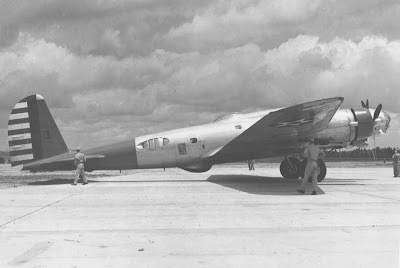 Pearl Harbor on Dec. 7, 1941, Boeing B-17D. 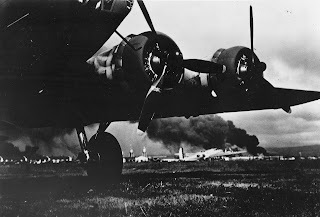 Smoke can be seen in the background from the burning ships in the background. 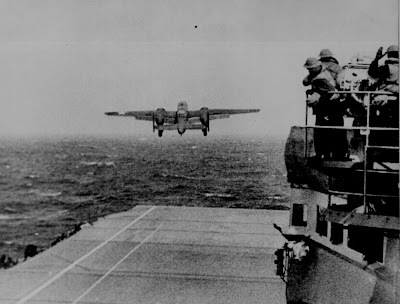 Taken in April of 1942, this photo shows an Army B-25 taking off from the USS Hornet on it's way to take part in the famous Doolittle Raid. 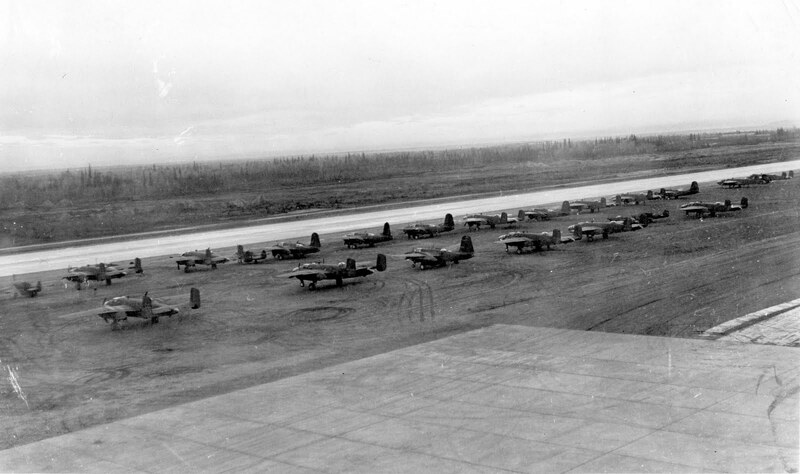 This photo, taken in Sept. 1942 shows B-25s and P-39s, at Ladd Field, Alaska, prior to testing by the Soviet Purchasing Commission, September 1942. 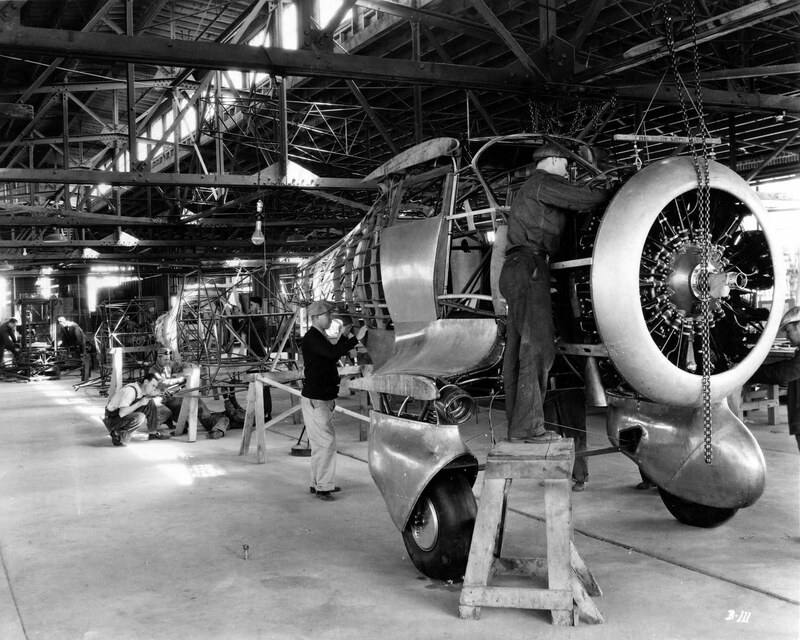 Beech YC-43 assembly line. Photo was probably taken in 1942. 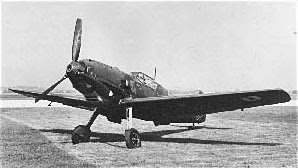 This German BF 109E (designated AE 479 by the Royal Air Force) was the first enemy aircraft to arrive at Wright Field, Ohio. 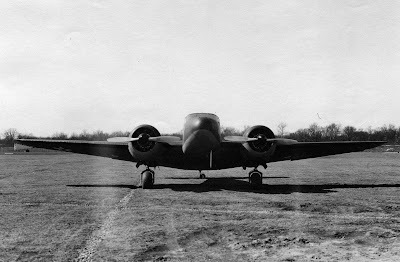 Note the British roundels on the lower wing. 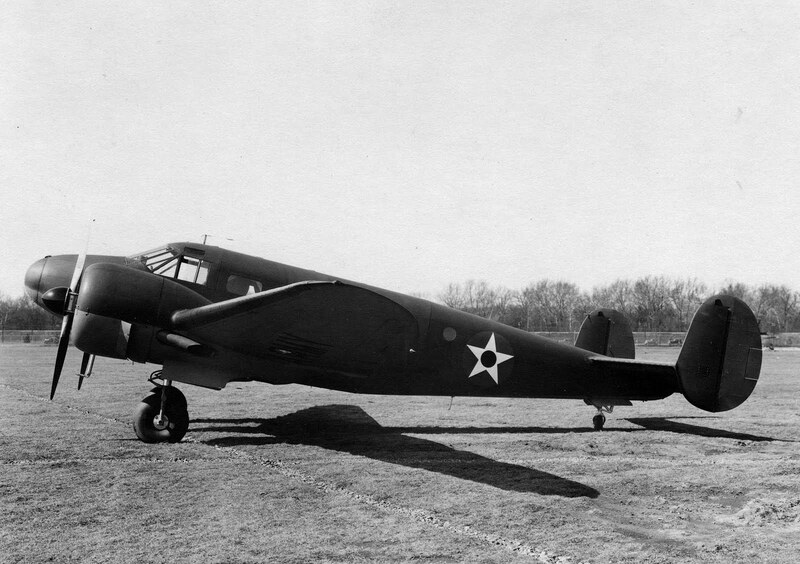 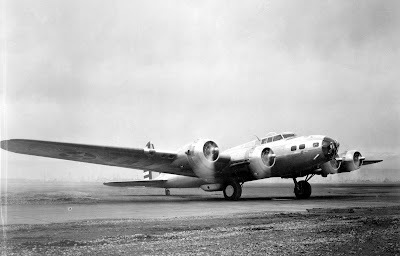 This Boeing B-17B, was at Esler Field, Louisiana, 1941, when this photo was taken. This is a great collection of photos. It reminds us of serious events in history that have changed our lives.